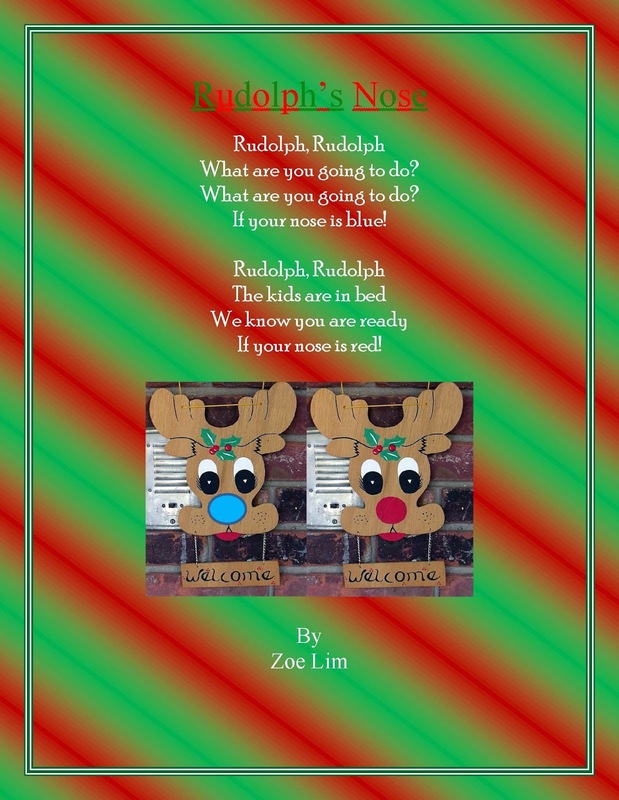 Me, Zoë Self: Christmas Poem! I cannot wait until Christmas! How about you? I made up this poem, it's about Rudolph's nose. Do you like my poem? I made it myself. Such a cute poem, Zoë! How did you make the other nose blue?! I just went into shapes then chose the circle, and then changed it blue.